Solis Tek 1000w MH is composed of highly purified Low Iron (Low-E) glass to allow more ultraviolet light to reach your plants, increasing the quality of yield during flowering stages. 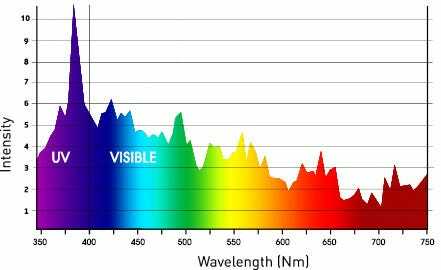 The spectrum has high peaks in the UVA/UVB wavelengths that will clearly show through in your plants. Do not run with anything other than Solis Tek ballasts! Don't buy H.I.D. lamps and electronic ballasts that aren't a matched set!